You need regular cleaning to maintain the quality and safety of your chimney. We will perform a thorough cleaning from top to bottom on your chimney; first by going on the roof to ensure that no portion of the chimney is neglected. Then we can do a video inspection of your chimney from the inside! Ablaze Technologies is number one for chimney repair in Appleton and the Fox Valley. Wisconsin winters and its freeze-thaw cycle are detrimental to brick and stone mortar work. Chimneys are exposed to water which causes deterioration and cause cracks and breakdown of brick and mortar. Lint builds up in the dryer and exhaust duct and causes the dryer to overheat. Over time this overheating damages sensitive sensors in the dryer, causing them to fail. This failure can lead to a smoldering fire that can and does destroy homes and businesses. 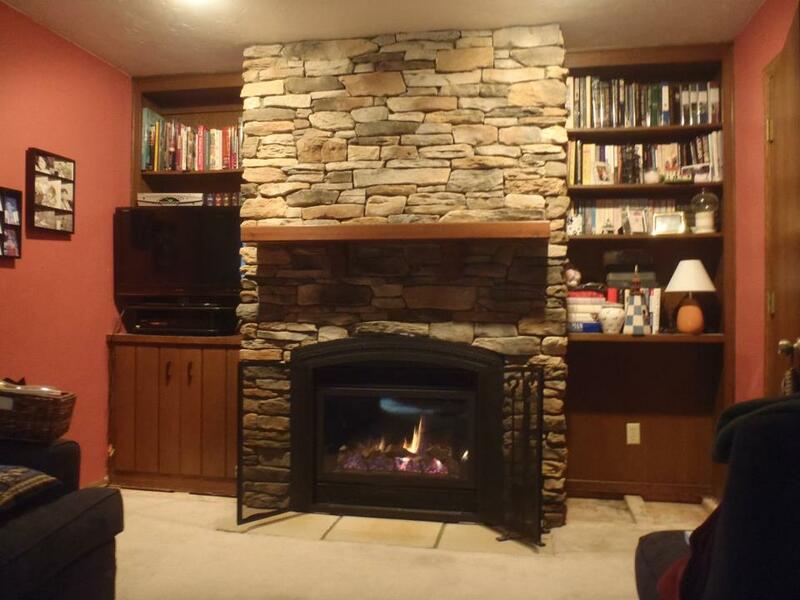 Wood Burner, Gas Fireplace or Pellet Stoves we can help! Efficient heat for the cold Wisconsin winters. Pellet and wood heaters can help you safe up to 50% on your heating bill, and with the price of energy consistently rising, you’ll be glad to have an efficient fireplace installed by competent experts. A clean chimney provides for a clean home. A clean chimney offers clean air. A clean chimney means a clean environment. That is why chimney cleaning is important for every home that burns wood or pellets. Ablaze Technologies is the leader in chimney cleaning and chimney repair in Northeast Wisconsin. A well-cleaned chimney also prevents fire and smoke hazards inside the home. Having a chimney inspection can save a homeowner from unwanted soot build-up. An inspection can also check for obstructions or cracks inside the chimney walls. Neglecting chimney cleaning may restrict the flow of gases. This can cause smoke to re-enter the home and may even result in a fire hazard. Chimney experts recommend annual maintenance at minimum. The experts at Ablaze Technologies are trained to inspect all wood-burning and oil chimneys. The best time to perform this inspection is before the winter season. However, any time is a good time for a chimney sweep when the safety of the home is concerned. Ablaze Technologies is committed to providing thorough, honest and professional chimney cleaning services. This helps every home keep warm and safe through the winter season. Ablaze Technologies also administers smoke tests and safety inspections on every job. Their experts are trained for fireplace installation, liner installation (stainless or cast in place) masonry work, and service calls. This includes fixing broken fireplaces whether they be gas, wood or pellet. Conscious of continual education, their technicians attend seminars and informative classes. Thus, all of their experts keep up to date on new building and safety codes. They are also aware of the newest products in the hearth industry. These products are energy-efficient and reliable for home use. With rising energy costs, wood and pellet stoves have become the standard for at least some portion of home heating. This re-introduction of traditional heating methods requires expert cleaning. That is why a chimney sweep is important, because no one wants to learn from a fire hazard the hard way. Every homeowner who cares about a clean home, clean air and a clean environment should contact Ablaze Technologies for an expert chimney cleaning. After working for his father’s chimney business in the Fox Valley, Justin Higgins decided to start his own company in the summer of 2011. He felt the diverse experience he had gained working different projects in the heating and cooling business gave him the expertise to start out on his own. Higgins has been working professionally in the hearth trade since finishing high school. His dedication to home maintenance is the top reason customers ask for Ablaze Technologies by name.